Our MARY’s secret ingredients spring 2016 subscription box shipped early last week to amazing RAVE reviews!!! This box is so very special with fantastic products supporting terrific causes. As you know, with the box we support Feed The Children, the global organization dedicated to providing aid to children and fighting the hunger epidemic. And also included in this great seasonal box are two other items supporting important causes. 100 Cups A Day supports clean water solutions starting with the state of Guanajuato, Mexico and The Tea Spot donates ten percent of its sales in-kind to cancer and community wellness programs. Here is our unboxing video! This box is so special, as we are not only inspiring you with healthy new products to help you make awesome LOVE inspired food but you are also supporting all of these great initiatives when you buy a box. As a special offering, we have made up more of these subscription boxes so you can still go to maryssecretingredients.com and buy a box for $34.00. That price includes shipping anywhere in the continental US. This is quite a good deal since the box is worth over $55.00! Mother’s Day is coming – this makes a great gift! 100 Cups A Day is an organization dedicated to the physical and spiritual well-being of water, founded by sculptor and ceramic artist Natalie Blake. Natalie is awesome!! Each cup is hand-thrown in porcelain by Natalie and her assistant Kyle in her studio in Brattleboro, Vermont, with all proceeds going to Caminos de Agua – an organization working to innovate and implement open source solutions to sustainable, safe, clean drinking water in the state of Guanajuato, Mexico and globally. kitchen and home with a strong emphasis on form, functionality and quality. As one of the fastest growing companies in the worldwide homewares market, the brand has earned global recognition for its multi-award-winning designs. By using downward pressure and a ‘rocking’ motion, this stylish, stainless steel tool crushes garlic cloves quickly and easily by forcing the pieces up through its mesh holes, leaving your hands free of garlic odour. Simply use the Rocker™ 100 to crush your garlic, then spoon or scrape it from the curved press with ease to add to your cooking. Rocker™ 100 is easy to clean under running water but is also dishwasher safe. A game-changing kitchen gadget that will revolutionise your garlic crushing! It was December 2011; a decades long career in the film industry was coming to an end and Jan was looking for a new endeavor. One day while delivering a batch of fig spread to a friend, Jan had a chance encounter with a food industry veteran. Word had gotten out about this film producer’s fig spread, and he wanted to know if it was as good as he had heard. Jan ran home, got what was left of the spread, and met him at a coffee shop so he could taste it. After tasting it, he said “This is better than anything on the market. Would you consider doing this for a living?” The rest is history. Today, Just Jan’s can be found in the Four Seasons San Francisco & Westlake, and at select gourmet retailers across the country. Just Jan’s Tangerine Marmalade, is a unique twist on traditional Orange Marmalade. Our Tangerine Marmalade is all natural and lower in sugar, allowing the bright citrus flavor of tangerine to shine through. Brighten up your morning toast, or try it in your evening cocktail. Located in Northern California, Savory Choice offers a full range of premium broth concentrates. They have been making news around the country because they deliver broths that taste good enough for chefs to call their own. 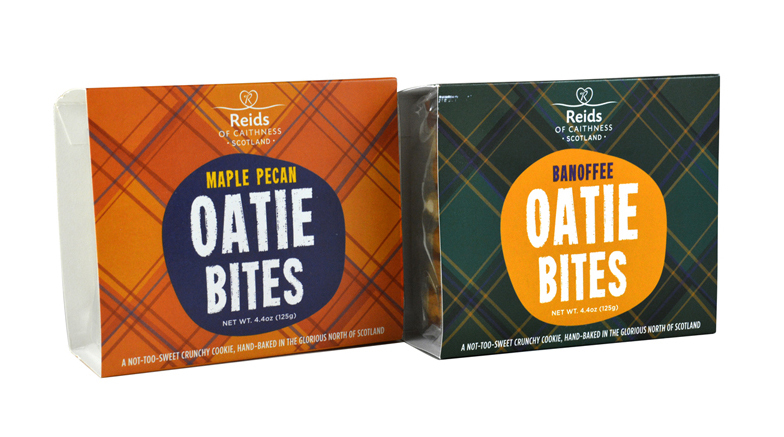 Their clean label products contain no MSG, or HVP, and they’re naturally gluten free with zero trans fats. 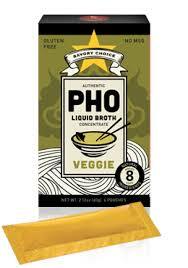 Made with traditional flavors and aromatics, infused in a rich broth, this Pho contains no artificial flavors or coloring added and is made with natural ingredients. Add your choice of protein or veggies, cooked rice noodles and garnish with your choice of condiments to create the perfect pho dish in minutes. Each stick pouch of liquid broth concentrate is reconstituted with 2 cups (16 oz) of hot water. Savor the homemade flavor! Launched by Scott Norton and Mark Ramadan in 2010, Sir Kensington’s offers award-winning lines of ketchup, mayonnaise, and mustard. I met Scott just last week – super nice guy!! Sir Kensington’s strives to create products recognized as both healthy and uncompromisingly delicious by using only-the-best ingredients such as Certified Humane eggs and whole tomatoes. Sir Kensington’s Dijonnaise is the perfect blend of mayonnaise and mustard. With slightly spicy notes of their propriety mustard mix, paired with smooth and tangy Classic Mayonnaise, this is sure to be a crowd-pleaser. Enjoy with your favorite sandwich, or as a crust on seared fish. These premium sachets contain a soothing white tea blend to sharpen the mind and arouse the senses. Rosebuds are known to ease nervous tension and have a calming effect. The exotic floral scent of night–blooming jasmine is used as an anti-depressant in herbal medicine. This combination works together to enhance the light, subtle flavor of the white peony tea leaf base – creating the perfect remedy for a stressful day. MARY’s secret ingredients subscription box, spring 2015, revealed!! We had so much fun!! It is so interesting to research and find new companies and products, do the testing :), and then pick the best for you! 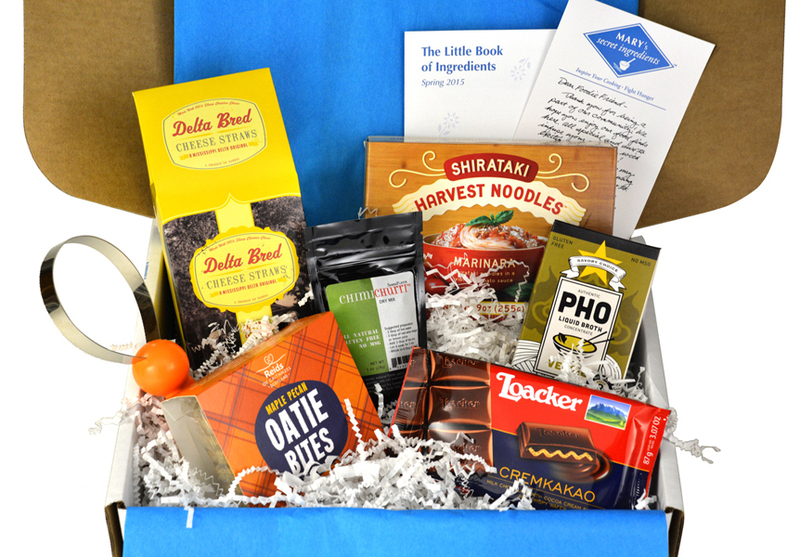 This box has products from Italy and Scotland, spice mixes influenced by the foods of South America, a delicious new form of low calorie pasta that’s really made of vegetables but you’d never know it, an amazing kitchen tool, the BEST cheese straws and the most flavorful and wonderful tasting pho. If you ordered a box, you won’t be disappointed. And I’ve got some knockout recipes coming up, using all of these products as ingredients, giving all the ready-to-eat items a whole new usage. In doing this, we hope to inspire you with new recipes to take the doldrums out of the daily question, “What’s for dinner?” Please email us any recipes you create using these products as we are planning on developing a community cookbook with the whole collection at the end of the year. Won’t that make a great holiday gift? And by buying a box, you’ve just helped in our efforts and partnership with Feed The Children to eradicate worldwide childhood hunger. Thank you for joining in on our big hairy audacious goal. Our June summer box ships on June 25th! You can order that here. Chef’s Planet makes life in the kitchen easier by offering unique, cleverly designed gadgets to fit your active lifestyle. They are constantly thinking of new ways to make cooking simpler and more enjoyable! This clever tool makes it easy to remove citrus from the peel so you can enjoy fresh fruit cut up in a bowl or juiced in a juicer. Simply score the citrus in a complete rotation by placing the blade teeth at the edge of the peel. Continue rotating the citrus and move the Cit-Trease handle in a perpendicular position to the face of the fruit until it pulls away from the peel. Getting juiced was never so easy & healthy! Chelsea Market Basket – Their founder’s passion for inspired specialty food and thoughtfully designed gifts led to the creation of Chelsea Market Baskets in 1993. Owner, David Porat continues to search the world for distinctly high quality, unique, innovative products with a certain indescribable charm. Chelsea Market Baskets aims to delight customers through their retail shop in NYC, mail order gift business and wholesale imports. Donald Reid started this family-run bakery located in Thurso, Scotland in 1966 using his grandmother’s over 100 year-old recipes. He uses the same locally grown oats from the same mills that his grandmother used to bake her delicious biscuits and cakes. The recipes are unchanged and their award winning, buttery, crisp cookies have stood the test of time. We can see why! We are excited to share with you one of their most treasured family recipes. These cheese straws are made in small batches and use 100% real cheddar cheese. They are perfect for anyone looking for fine taste at fine times! 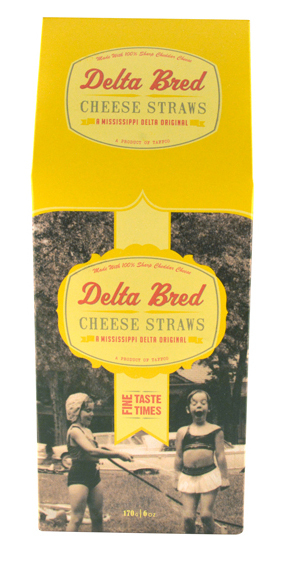 Whether you enjoy your cheese straws with sweet tea or mint juleps, we can assure you will experience the mighty fine taste of Delta Bred! Made from Konjac Yam Root, this secret weight loss food enjoyed in Asia is now available to you in a vibrant marinara sauce of blended tomatoes, onions, basil and sea salt to delight your taste buds. 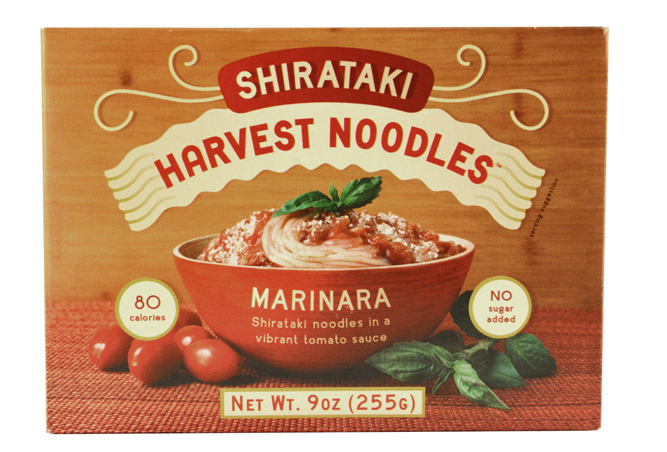 Healthy and convenient, Shirataki Noodles are vegan and low calorie, making them perfect for anyone trying to be mindful of their weight. Skinny and easy never tasted so good! 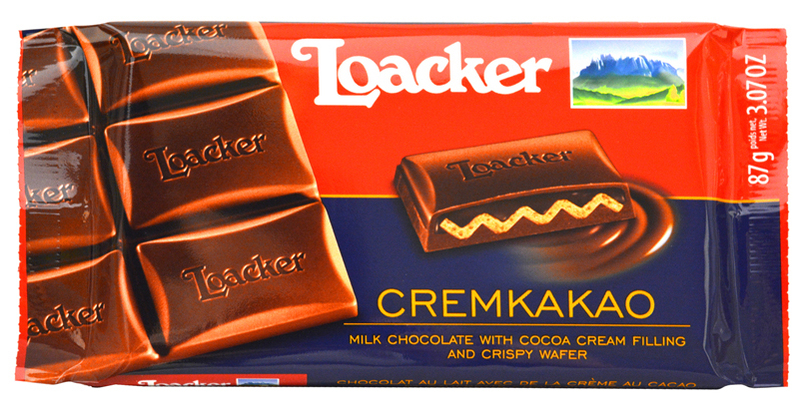 Nine – count ’em nine – bite-size pieces make up Loacker‘s velvety chocolate bar with cream-filled centers and their signature light and crispy wafers. They make them easy to break apart so each bar-within-the-bar is a treat unto itself to savor and linger over. Cremkakao is a milk chocolate bar. So easy, yet at the same time, so hard to share. This is your chimichurri on the go! Created with gourmet quality herbs and spices for the chimichurri lover, this is very easy to prepare. You can mix it with wine, vinegar or lemon juice and olive oil. Adjust to your preferred acidity and taste! Enjoy the best flavors of South America! Made with traditional flavors and aromatics, infused in a rich broth, this pho contains no artificial flavors or coloring and is made with natural ingredients. Add your choice of protein or veggies, cooked rice noodles and garnish with your choice of condiments to create the perfect pho dish in minutes. Each stick pouch of liquid broth concentrate is reconstituted with 2 cups (16 oz) of hot water. We really are having such a grand time with MARY’s secret ingredients! The fall box shipped out on schedule on September 25th so everyone should have theirs by now. We hope that all of you who ordered one were just as excited as we were with the mix of ingredients this season. This box is full of wonderful things to spice up your cooking and make preparing a gourmet meal a breeze with all the interesting flavors and the two very exciting new tools enclosed. A very big thank you to all of you who purchased, as every box sold adds to a contribution to Feed The Children. We will donate 10% of all profits to that global organization at the end of this year. No one should go hungry. And now our lovely Marie, who will be performing in the premiere of a new opera in November here in NYC, (we’re so excited!) introduces the products to the tune, HOW DO YOU LIKE YOUR EGGS IN THE MORNING from the musical “Rich, Young, and Pretty”, written by Cahn & Brodzky, and made famous by Dean Martin and Helen O’Connell. Calphalon is a leading manufacturer of professional quality cookware, cutlery, bakeware, kitchen electrics and accessories for the home cook. Based in Atlanta, Georgia, Calphalon is a part of Newell Rubbermaid’s global portfolio of leading brands. Nylon Solid Turner: This spatula is smartly designed with a unique serrated edge to cut food, and the low-profile head is angled to slide under food for easy turning. Crafted with heat-resistant soft-touch silicone accents, this utensil gives you a perfect balance of comfort and control. Dishwasher safe, heat resistant to 400° F, and won’t scratch nonstick cookware. Full lifetime warranty! Falksalt sea salt flakes are extracted from pure, clean Mediterranean Sea water using traditional methods. It’s harvested in Cyprus and sold by Swedish Salinity Food with 180 years experience in trading salt. It’s a 100% natural product with no chemicals, no anticaking agents and all natural additives. Falksalt offers a wide range of natural and flavored sea salt flakes. Falksalt Crystal Flakes Citron: These light flakes add a burst of bright lemon flavor to everything from fish and vegetables to ice cream and chocolate. Bake, cook or just top off your favorite dish before serving. Be daring! Harmonian is a Greek brand established in June 2013. The company’s aim is to bring a new un­derstanding of “healthy and taste conscious” food to the market. Kalamata PDO Extra Virgin Olive Oil : Olive Oil is the true “juice of life” and is a secret shared by people at the Mediterranean basin for ages. The land of Messenia, at the southwestern end of Peloponnese in Greece, produces the fine oil of the “Koroneiki” olive variety. Harmonian selects only its top quality crops and embottles their most precious extracts with the utmost care. This oil is silky in texture, keen in flavor and rich in aroma, extra virgin, high quality. It can be enjoyed both raw and cooked. KIND® was launched in 2004 with the aim of inspiring people to do the kind thing for your body, your taste buds, & your world. From its delicious foods made from ingredients you can see and pronounce to its commitment to social entrepreneurship, KIND® is focused on making the world a little kinder one act (and snack) at a time. Dark Chocolate Mocha Almond bar: A brand new flavor! Dark roast coffee and whole almonds blended with honey and drizzled in dark chocolate to form a bar that, with just 5g of sugar, only tastes indulgent. Their founder’s passion for inspired specialty foods, and thoughtfully designed gifts, led to the creation of Chelsea Market Baskets in 1993. Owner David Porat continues to search the world for innovative products that are distinctly high quality, fresh, unique, and have a certain indescribable charm. Chelsea Market Baskets’ ultimate goal is to delight their customers through their Chelsea Market retail shop in New York City, their mail order gift business, and their wholesale imports. They believe in product integrity and a high level of customer service. 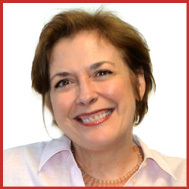 Their mission is to heighten each and every customer’s experience with these core values. Smoulder Spice Grinder – Elements Of Spice By Kalk Bay Food : Warning: Smoking Is Addictive! A few grinds of this mix will conjure up barbeque fun. Everyone’s favorite spices, artisanally cold smoked over beech chips, make the perfect seasoning for meat on the braai. Kalk Bay Food, based in Capetown, South Africa, blends spices from around the globe into unique and delicious combinations. They are known for the quality and freshness of their products. From rare single-origin salts to inventive spice blends, Kalk Bay Food will enhance the flavor of whatever is on the dinner table. Founded in 2010, The Pantry Club is part of a family business established by Matt and Alicia Webb. It offers ten gourmet-quality dip mix flavors that are made from natural ingredients, are MSG-free, nitrate-free and are gluten-free (with the exception of Bacon Cheddar which has gluten in it). The dip mixes can be made with the classic recipe, or they can be used to create a wide variety of meal ideas; for sauces, soups and marinades – creating hassle-free cooking that is simply delicious. Spinach Mix Dip (Gluten Free): This special combination of seasonings not only has incredible taste, but it is a delightful complement to fresh vegetables, crackers, baked potatoes, seafood or pasta salad, or use dry as a seasoning. Tovolo believes time spent cooking should be fun, and they are honored to be a part of this experience in your home. They challenge themselves to improve the performance, function and appearance of kitchen tools. They obsess over every detail to ensure their product will out-perform expectations. However, performance alone is not enough; they want to put a smile on their customer’s face as well. They strive to add a colorful element of fun to each of their items. The Perfect Poach: Finally, a solution to make a perfect, delicious poached egg EVERY SINGLE TIME without oil or butter! These handy bags take the guesswork and mess out of poaching eggs. Simply crack an egg into the pouch—use one pouch for each egg—immerse in simmering water, and remove after four to six minutes. Slide your perfectly poached egg onto a plate and enjoy. Bags can only be used once but they are recyclable, biodegradable, and non-stick.